Mama, I so love school this year! says my 9 year old looking at me with her shining blue eyes. Sixth grade is great. I feel like I am learning something again. I am so happy that I got to skip the fifth grade. 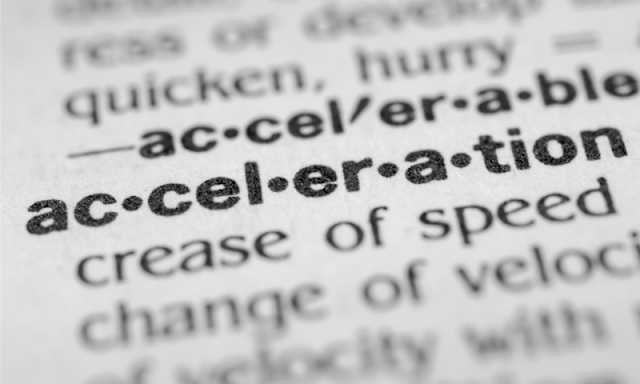 The first results of whole grade acceleration are in, and I want to dispel some myths and share some good things about grade acceleration for gifted learners. Just two years ago I wrote Should we accelerate our gifted child? where I listed all the reasons why we chose not to accelerate Smarty in the second grade. However, by the end of the 4th grade things changed. Smarty did not "even out" in comparison to her grade mates, and she increasingly complained about being bored in school. We worked with her teacher to allow her to work independently in math, and she flew through about 3 years of math curriculum using Khan Academy in one year. When it transpired that all her closest friends are going to be leaving our school next year, Smarty was devastated, and we were faced with some tough choices. In the end, we chose to grade skip Smarty, so she could attend a brand-new project-based STEAM school opening in our district. So now our 9 year old is in the 6th grade and, if she continues with her new grade mates, she will graduate school at 16 while most of her class will be 18 on graduation day. Several online sources republished the same article recently about the 45 year long study of mathematically gifted students. I found it especially interesting, since my daughter just happens to be mathematically gifted. According to this study, In a comparison of children who bypassed a grade with a control group of similarly smart children who didn't, the grade-skippers were 60% more likely to earn doctorates or patents and more than twice as likely to get a PhD in a STEM field. Just yesterday Smarty said something that made me smile. She said, I only have time to daydream in math class. In other subjects I am not ahead, I need to work to keep up. This is exactly what we wanted to achieve - that she will have to apply effort and to focus in school. Her hard work is paying off - so far she is able to get to A grade across all graded subjects. and she is enjoying subjects like social studies that she dismissed before as "too boring". I realized one thing fairly quickly - kids care about age difference in the classroom a lot less than adults do. Yes, in the first few days several kids approached Smarty asking how many grades she skipped, because she is small for her age and looks more like a third grader. But the novelty wore off pretty fast, and now she is just as much part of a class as everyone else. It does help that Smarty is not a shy kid in the classroom - she plunges head-on into any group project or a discussion. Recess, however, is another matter. Even though this school is brand new, most kids came to school with buddies from other schools, and Smarty was never a person to join groups. It also does not help that many kids spend their recess time playing on their phones, and we do not think that Smarty needs to have a phone just yet. But, after a few weeks of observing and adjusting, Smarty is starting to form closer relationships with some of her classmates. She walks to school with a group of kids from our street (none of them is in her class), and she is now sharing a lunch table with a boy from her class who also came from a different school district and looking for connection. I feel confident now that as time goes on, she will "click" with more kids. She says that everyone is nice to her and that she likes her classmates, and this is what matters right now. I strongly believe that executive skills, especially emotional regulation, impulse control, time management, and organization are very important to consider when you contemplate a grade skip. As many gifted children, Smarty has some weaknesses in her executive skills. For example, she has trouble with impulse control when she answers questions without being called on, even though she is perfectly aware that this is not an acceptable behavior in the classroom. Because of that, her "work habits" grade is always her lowest grade. She also had several missing assignments over the first few weeks - she either forgot to turn them in or she forgot to write her name on them. However, she is willing to acknowledge her mistakes. Now I am asking her to check her PowerSchool account every afternoon to see if she owes any work or if she has any homework. On the positive note, I see Smarty really making an effort to be more proactive with her work. This is a project based school, so kids are starting to get more long term projects. In her first project, Smarty surprised us by thinking it through, dividing it into parts, and working through each part (with minimal prompting from us) until her project was completed several days before its presentation date. It's exciting to see her executive skills stretching and growing, because she is not disengaged. She actually cares about her performance and wants to improve - a true testament that she is developing a growth mindset through being challenged and occasionally failing at tasks. Are We Done with Acceleration? Not really. Even with a grade skip, Smarty is at least a year ahead in math. Unfortunately, our math teacher this year is new and is not able to offer meaningful differentiation in the classroom, so we are now asking the principal to allow Smarty and a few other students in her class to do an independent study in math. She is very interested in this option - she loves math and enjoys challenge in math just as much as in her other subjects. 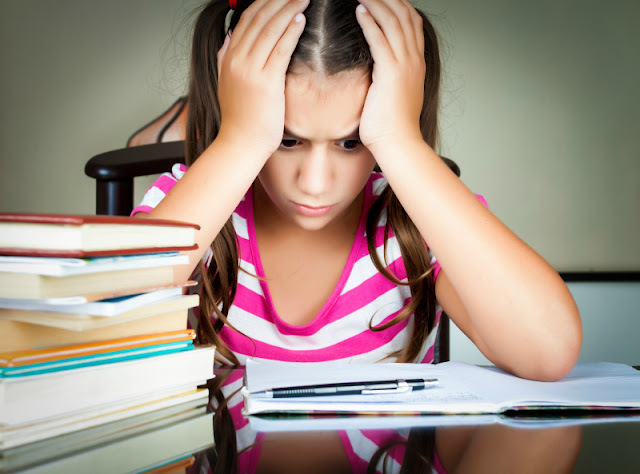 If she can use two 80-minute periods a week to do math at her speed of learning, there is no telling just how far she will be by the end of 6th grade. As for another grade acceleration, right now we don't think this is on the table for the middle school. I hope that high school class will open a lot of opportunities as many schools in our area support AP classes or dual enrollment. For now, I can only say that I am completely at peace with our decision to accelerate our gifted learner. What are your thoughts on acceleration and have you changed your mind one way or another over time? Follow my Resources for Gifted Children Pinterest board. Join other gifted bloggers discussing acceleration for gifted learners by checking out Acceleration Blog Hop at Hoagies Gifted. Follow Hoagies Gifted on Facebook. I am so glad it is working out. Too bad she can't just go to the next grade's math class. So happy for Smarty! What's nice is then she can take a gap year at the end of high school if she wants more time to learn from the real world before heading off to college! But that's still few years from now. They do grow up so fast, don't they! Another alternative for very mathy kids is the Proof School. But it is a bit far from where you are. They are looking for more applications from girls. One of our friends got in with a full scholarship. I love following Smarty's journey and I'm so happy to hear this path is going well. Great to hear that acceleration is working out for your daughter. Hopefully, subject acceleration may work out in the future to complement the grade skip. So good that she actually has to work at some of the subjects in school - something so many gifted kids don't get to do. A friend of mine up in Oklahoma, her daughter ended up taking classes at the local high school while still in middle school, this was a mixed thing in the end because she also had some social issues because of it.